Stays at ARIA are always tailored to our guests' wishes, but Tower Suites guests receive a heightened experience, including pre-arrival contact, access to the newly opened Tower Suites Lounge and more. 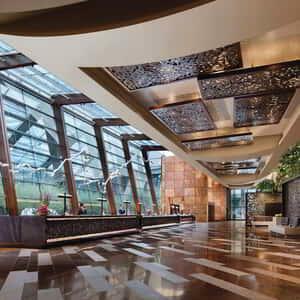 A stay at Tower Suites only makes leaving ARIA that much harder. The Tower Suites Concierge will respond within 48 hours. Experience the ease of check-in from the Tower Suites Lounge. During your stay enjoy private access to the lounge with complimentary fresh made espresso, macchiato, cappuccino and more from a state-of-the-art LAMILL Coffee Machine. Tea, juice, soft drinks, light pastries and seasonal snacks are also available. 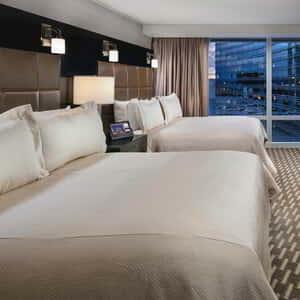 Each stay at Tower Suites begins with personalized assistance to enhance your experience. Our Concierge team will have contacted you before your stay to fulfill all your wishes. See the difference upon arrival, with a personal curbside welcome and a sweet treat that shows our commitment to your enjoyment. We can also assist with any special requests you may have. Whether you want to surprise someone with their favorite flowers, arrange a private racing experience or get tickets to a special event, our Concierge staff is expert in making it happen. Tower Suites takes your Vegas stay to the next level. Enjoy special privileges such as enhanced turndown or priority line access for taxi service. Every Tower Suite comes equipped with living room and seating area, luxe bathroom amenities and the new in-room tablet, where lighting and curtain settings, takeout or breakfast in bed, a spa treatment, and a table at JEWEL nightclub are at your fingertips. 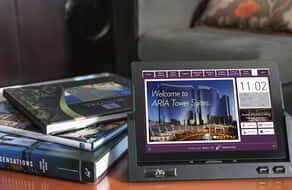 Countless indulgences are at your fingertips via our revolutionary new in-room tablets. Thanks to this amazing technology, everything required for an effortless stay awaits you, with in-room dining and restaurant reservations, spa and salon services, lighting and climate controls and more all a mere touch away. Forget the Front Desk line. 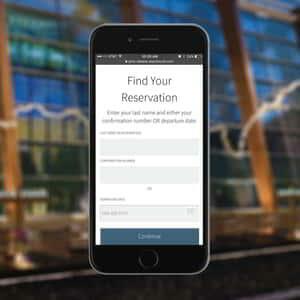 Check in from your phone and enjoy the property until your room is ready. Saying “Goodbye” is hard, but we try to make it a little easier for you. Skip the line, even if you need your portfolio. Pamper yourself with 920 square feet dedicated to you. Soak your cares away in an open-air whirlpool tub. If panoramic views of The Strip and spacious living and bedroom areas are your style, then this is your suite. Meet in style in the private 12-person conference room found within our 2,000-square-foot Executive Hospitality Suite.